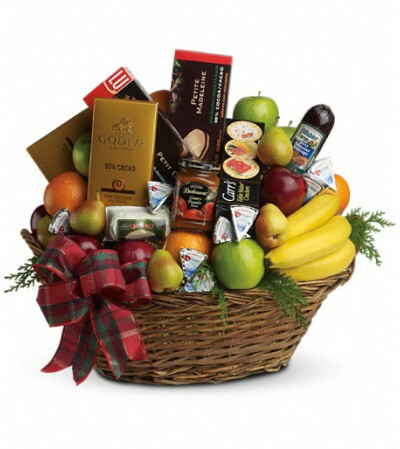 The ultimate crowd pleaser, this basket is simply overflowing with deliciousness. 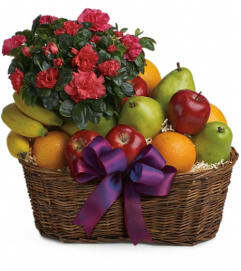 It's sure to make a big impression on anyone from the boss to friends and family. 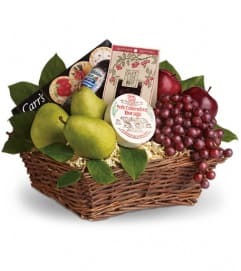 It holds all kinds of fresh fruit - from apples and pears to bananas and oranges - gourmet chocolates and cookies, cheeses, sausages, crackers and more. 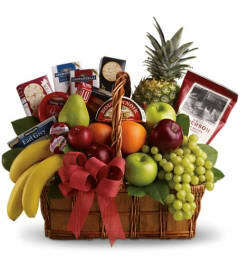 Plus, it's all wrapped and ribboned in a big delightful basket. Let the sumptuous snacking begin!